Kate is a naturopathic doctor and a graduate of the highly-regarded Canadian College of Naturopathic Medicine in Toronto. 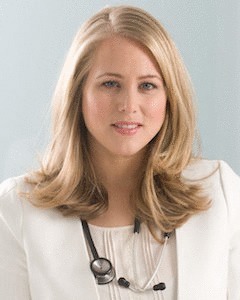 In 2006, Kate established a thriving multi-disciplinary natural health clinic in Port Credit, Ontario. While she prescribed goat milk to patients with cow milk sensitivities for years, it wasn’t until Kate’s challenges with breast-feeding lead to the discovery that her son couldn’t tolerate cow milk formula, that she set about creating her first goat milk formula. From 2009 to 2012, Kate continued with her naturopathic practice, while conducting the necessary preparations and research for launching a safe, commercial goat milk formula in North America. In 2012, she and co-founder, marketing executive Carolyn Ansley, joined forces with Hyproca Nutrition, a global company with over 70 years of infant nutrition expertise to launch the Kabrita brand, beginning with Goat Milk Toddler Formula and Goat Milk Yogurt and Fruit into North America. Kate lives in Port Credit, Ontario with her husband Rob and their children James and Lily.